The downtown radius of Greensboro, Ala. compares to the size of a regulation football field. However, right in the middle of it all is a simple pie shop that sure knows how to make an impression. 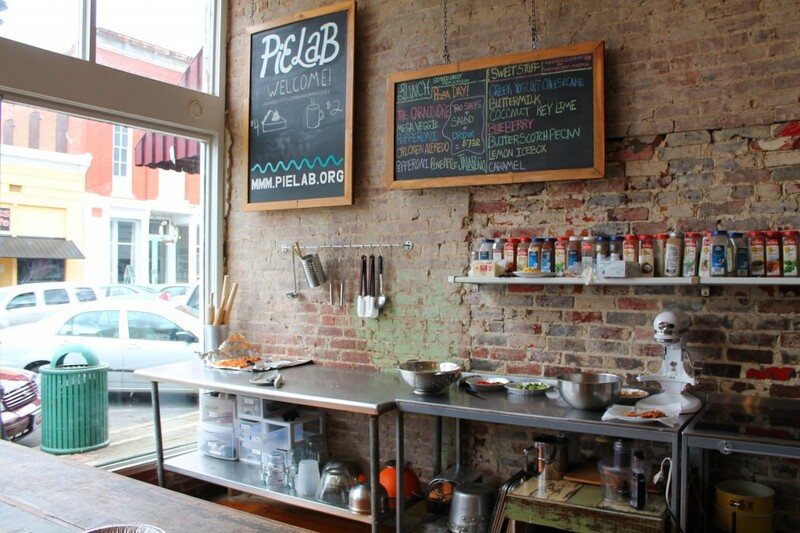 PieLab is the sweet spot to stop for any explorer passing through lower Alabama, especially if exceptional pie makes you weak in the knees. Flavors range from the all-American apple pie to the unusual Greek yogurt cheesecake pie. “But butterscotch pecan is the top seller of everything,” staffer John Wilkerson says. 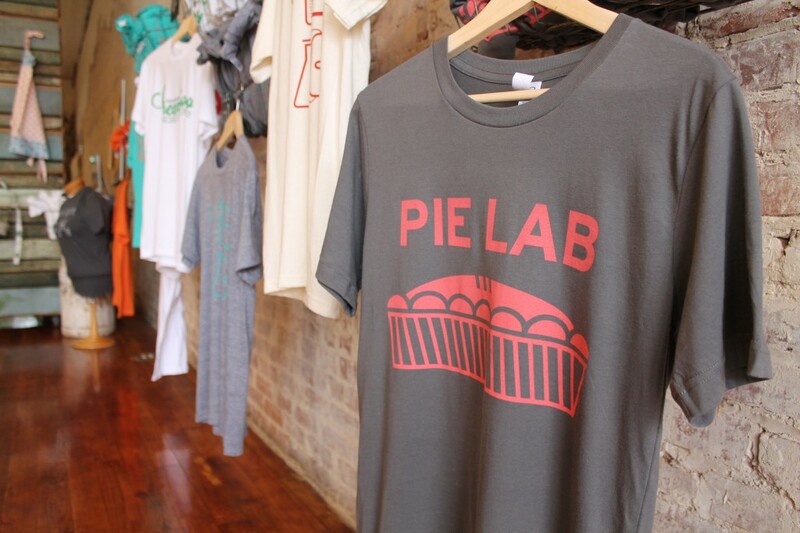 While the dessert pie is a specialty to the shop, PieLab sells a handful of savory pies like pizza and quiche for hungrier customers. “No matter what day it is, there is always a quiche option,” Wilkerson says. As customers come and go from the counter, Wilkerson mentions that the shop is often filled with travelers looking for a bite to eat or an afternoon sugar rush. 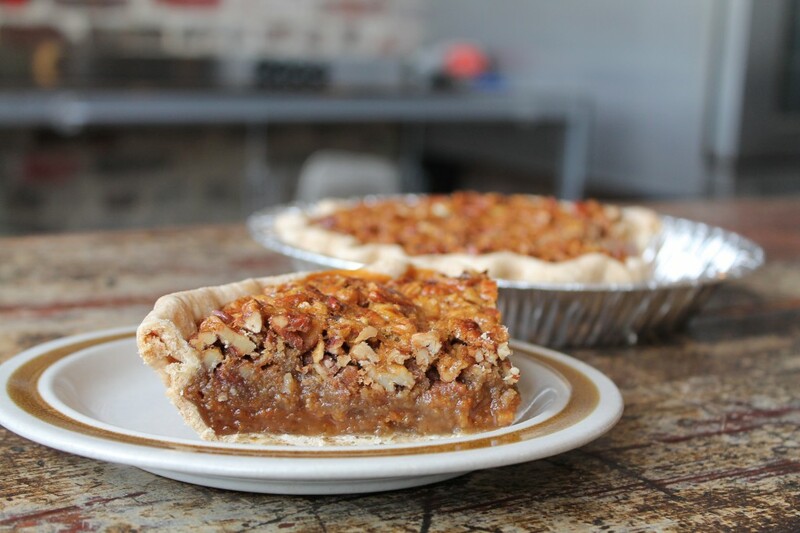 “Lots of out-of-towners are always stopping in as they pass through, but it’s also a place to bring people together through pie and conversation,” he says. 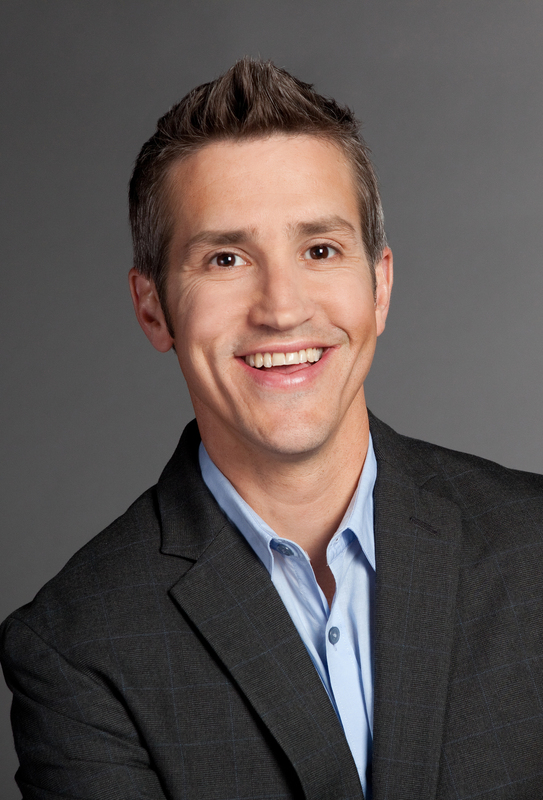 Wilkerson’s comment refers back to the beginning of PieLab, a social entrepreneurship plan started by Project M in 2009, and now sponsored by Hale Empowerment and Revitalization Organization, or HERO for short. With such friendly vibrations, it is easy to see the appeal. Staffers and locals alike welcome customers in with cheer and a quest to get to know you. “You come to the store and talk to someone you might not talk to on the street. 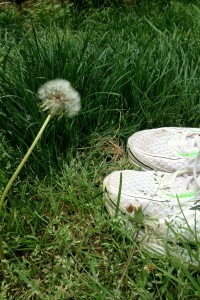 It’s amazing what a good slice of pie can do,” Wilkerson says. Located just two hours from Birmingham, Greensboro is a wonderful Southern sojourn for both city and country folk. After a slice of goodness, take a stroll through the square. An eco-friendly bike shop, a quaint little library and a friendly antique shop beg to be explored. Here are a few books for your upcoming summer reads. Romance, history, murder, astronauts on a mission to land robots on the moon, difficult marriages; you name it, these three books deliver. 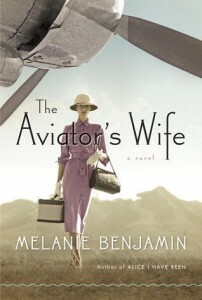 A vividly imagined novel about a complicated marriage, it reveals both the amazing highs and terrifying lows. The author illustrates the enduring relationship between Anne Morrow Lindbergh and her husband Charles Lindbergh from the idealistic, fairytale beginning to the realistic hardship that accompanies a famous aviator and his wife. 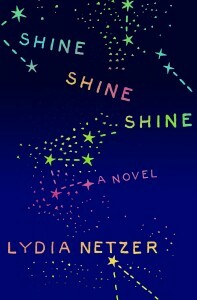 A New York Times Notable Book of 2012, this novel is a special and quirky love story, a quest between worlds and a portrayal of what it means to be human. 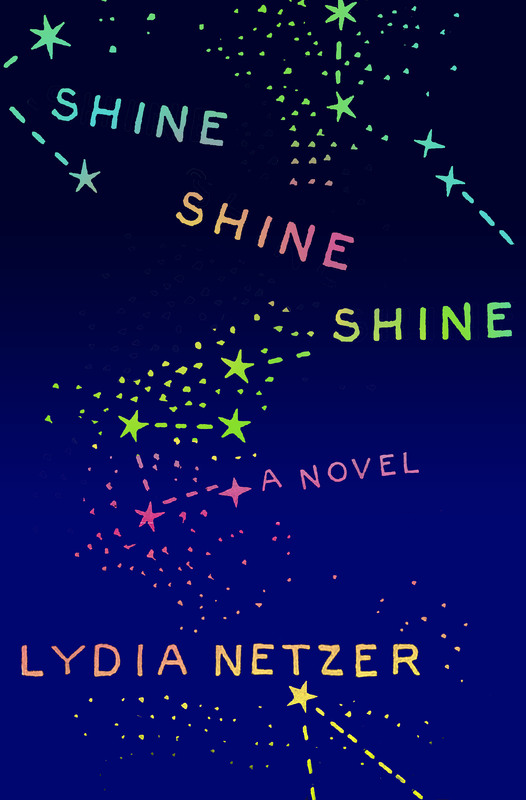 Netzer creates these characters and their stories in a way that deems the question: “What is a normal life?” For Sunny, it is playing the wife to a husband who is flying out to the moon, a mother to an autistic young boy and a woman keeping her baldhead a secret to the world. Every character is charming in his or her surprising, yet loveable way. 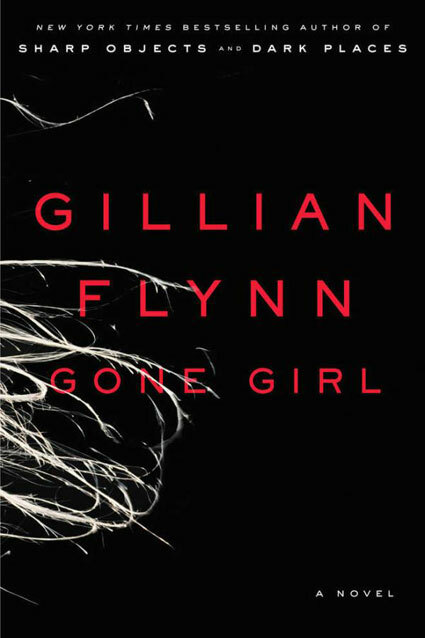 Gillian Flynn, one of today’s most critically acclaimed suspense authors, unfolds a marriage that has gone horribly, horribly wrong. 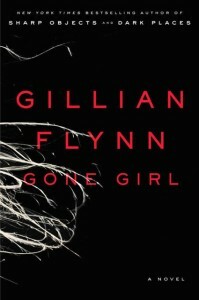 Gone Girl illustrates how marriage can be a real killer with a sharp, chilling story that leaves you begging for more. Plans are being made on what seems to be a lovely fifth year anniversary for Nick and Amy Dunne, when Amy disappears from the couple’s McMansion on the Mississippi River. Tips, clues and Amy’s diary do not bode well for Mr. Perfect who Nick has tried oh so much to portray. This devilish darkness and psychological insight make this fast-pace thriller a masterpiece. 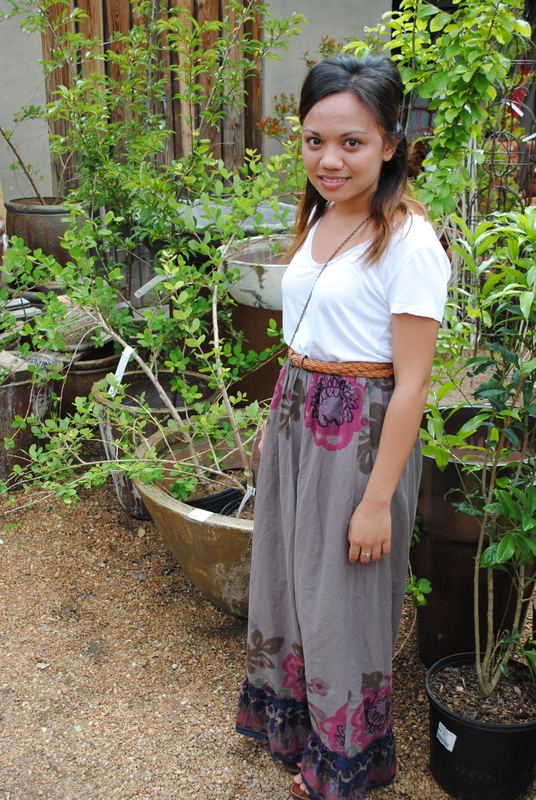 This week Exodus’ street style headed to Pepper Place Market to find fresh produce and maxis everywhere. 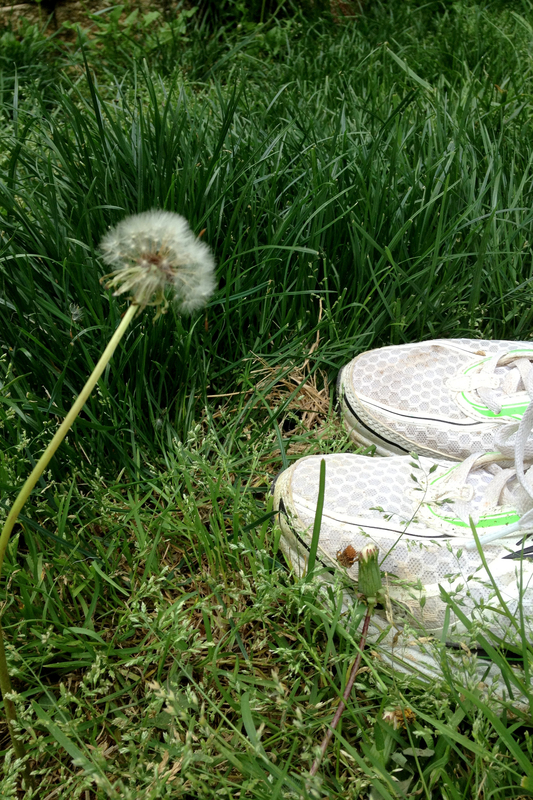 Don’t miss out on the breezy trend this summer! What’s your favorite item in your wardrobe? Definitely my Indian sandals. They are very unique. What is your favorite trend this season? Mint Green! What is your favorite item in your wardrobe? My denim jeans. They are perfect with everything and can be dressed up or down. “What’s on 2nd?” is a vintage thrift shop located on 2nd Avenue North in downtown Birmingham. 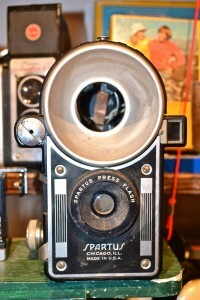 Here you can happily hunt through three stories of items that tell tales of the past. The rafters are filled with unique objects ranging from vintage records, old school cameras, historical documents, trading cards and more. Since 2007, the shelves have been filled from “an army of pickers who are constantly bringing in new items,” co-owner Steve Gilmer says. You may not visit “What’s on 2nd?” with any intent of making a purchase, but any shopper is bound to make a connection with a nostalgic item to take home. 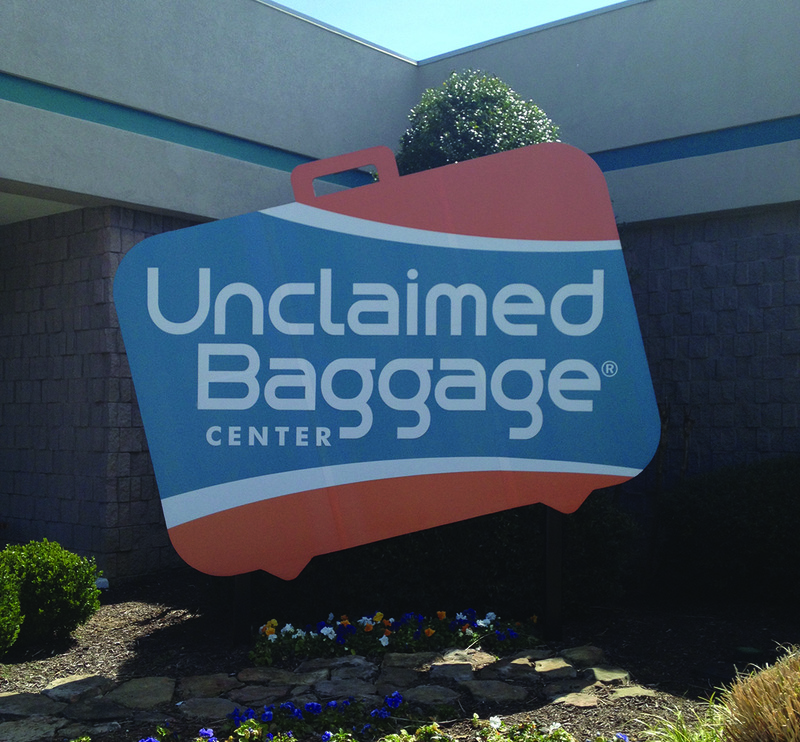 Unclaimed Baggage is tucked in the small mountain town of Scottsboro in the northern corner of Alabama. The family-owned business has been thriving for more than 40 years. Here you can discover other people’s treasure as you browse unclaimed luggage from all over the country. The store covers an entire city block with more than 40,000 square feet of unclaimed airplane luggage. Items range from laptops to top-of-the-line cameras, designer clothes and purses and everything in between. All of the products are available at discounted prices. Their huge selection of unique products draws customers from all over the map. 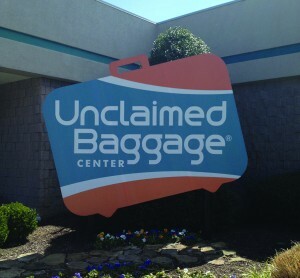 Unclaimed Baggage is sure to keep any thrifty shopper busy for hours. Homewood Antiques and Marketplace is a family-owned business in Edgewood with an always changing, never ending stock of rare and fun antique pieces. The store supports more than 50 vendors that supply a variety of merchandise. 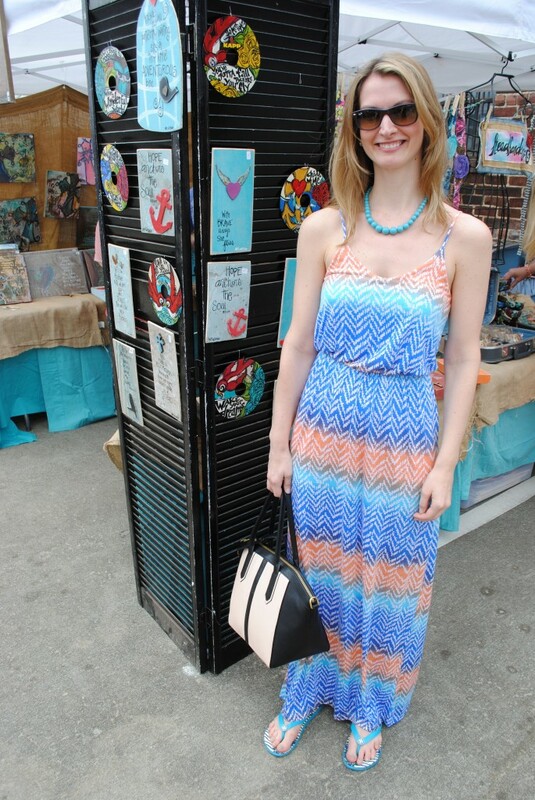 These vendors have created homemade items and several refurbished antique pieces. 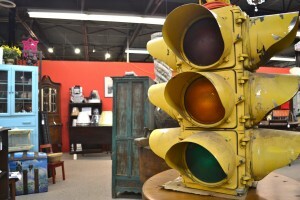 Other pieces sold in Homewood Antiques are ready for their purchaser to fix them up and show them off. 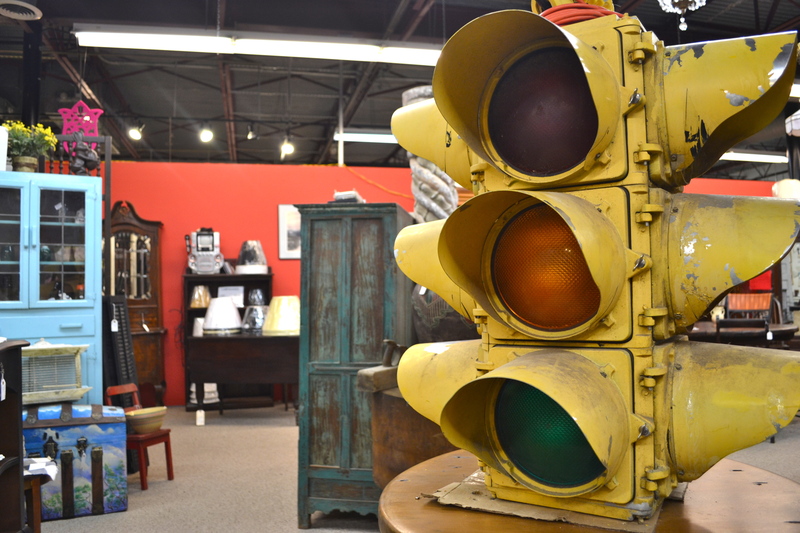 Charlotte Woodson is a local antique store nestled in Mountain Brook Village that offers high-end antiques. Owner Dinah Toro buys most of her products in France. 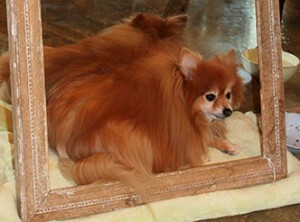 She is available to answer any questions you may have about antiquing along with her dog, Mr. Foxie. Although he isn’t for sale, shoppers can find almost anything else in Charlotte Woodson including books, pictures, large furniture and home décor. The atmosphere of the shop is conducive to getting lost in a beautiful store while hunting for items with a rich history. Aspiring dancers throughout the state covet a chance to dance with the Alabama Ballet, but with only 33 years of history, the company is relatively new in the world of dance. So what makes the Alabama Ballet so appealing? Easy. The Alabama Ballet offers dancers the chance to work with outstanding directors. In its beginning, the company followed the artistic direction of Dame Sonia Arova (previously dancing with the Original Ballet Russes, the Royal Ballet, and America Ballet Theatre) and Thor Sutowski, and then 15 years later, the leadership passed to Roger Van Fleteren and Wes Chapman. Today, Tracey Alvey serves as the ballet’s Artistic Director. “I love everything about it. Everyone is very professional and we all get along very well,” says dancer Christy Delenick. As a student, Delenick’s days and nights look much different than that of company dancers, keeping up with academic classes and homework as well as ballet classes and performance rehearsals. But the busy days are worth it. She couldn’t pass up the opportunity to learn from the best. Kelli Murdock, 24, began as an apprentice for two years and has now been a company dancer with the Alabama Ballet for the past six years. Unlike Delenick, as a full-time company member Murdock spends her days in and out of company classes and rehearsals. Like Delenick, she shares the same positive outlook on the company. Summertime is just around the corner, and while a trip to the lake is always a great way to cool down, don’t forget your indoor options. Whether it’s a midweek matinee or a Thursday night premiere, sitting in an air-conditioned auditorium for three hours while fights, mystery and romance light up the silver screen can give you a temporary relief from the heat. If you don’t pick the right summer movies, you might as well stay sweltering under the mid-July sun. Because Exodus is concerned for your well-being, here’s a list of some of the movies you won’t regret seeing, as well as those you should wear extra-strength film-block lotion to avoid. Iron Man 3 (already released) – If you loved the first two, or any of the other Marvel movies within the last decade, the third installment of Robert Downey, Jr. as Tony Stark should not disappoint. The Great Gatsby (May 10) – Be wary of this film; if you haven’t read the book, you probably would not be anticipating the movie anyway. If you have read it, be prepared to either enjoy the way its literary greatness is translated to the screen, or else be upset when that one detail that you believe made the book is absent from the movie. Star Trek Into Darkness (May 17) – Like “Iron Man,” this should follow the same form as its precursor. Older Star Trek fans might want to stick with the originals, especially if the first film of our century came as a disappointment. However, new Trekkies or fans of modern sci-fi flicks should find this one as enjoyable as the last. The Hangover Part III (May 24) – The only two good things about this film are that advertisements claim it to be the end of the “saga,” and that the official title uses Roman numerals. Skip this movie at all costs. 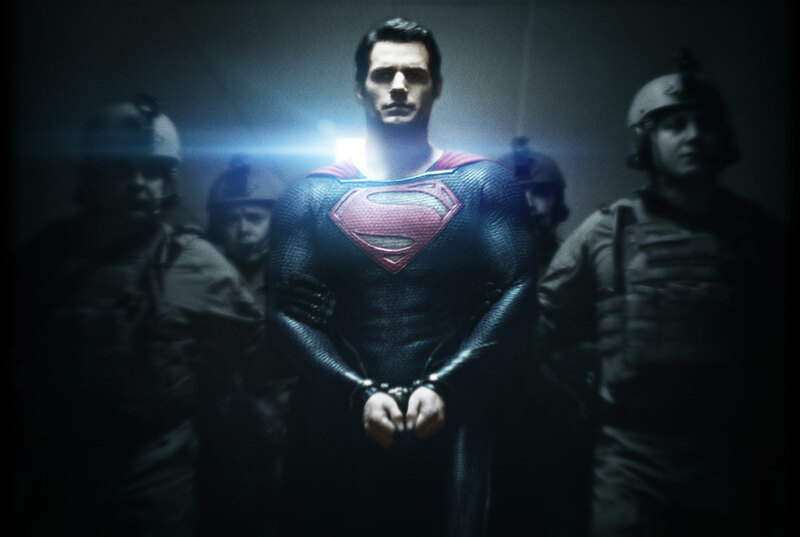 Man of Steel (June 14) – If you want a great superhero movie, get Christopher Nolan to direct it. If you want an epic film score, get Hans Zimmer to compose. If you think Kryptonite is the coolest weakness ever, Superman is clearly your superhero of choice. Go to the midnight premiere, dress up and keep going back to see this movie every day if you have the money, because this film will be a monumental success. Despicable Me 2 (July 3) – Normally, an animated sequel that purely results from the monetary success of the first film is destined to be forgettable (namely, any 1990s Disney film that had a follow-up). But give Gru, Agnes and all those little minions a chance; after all, how can you say no to such adorable cartoons? 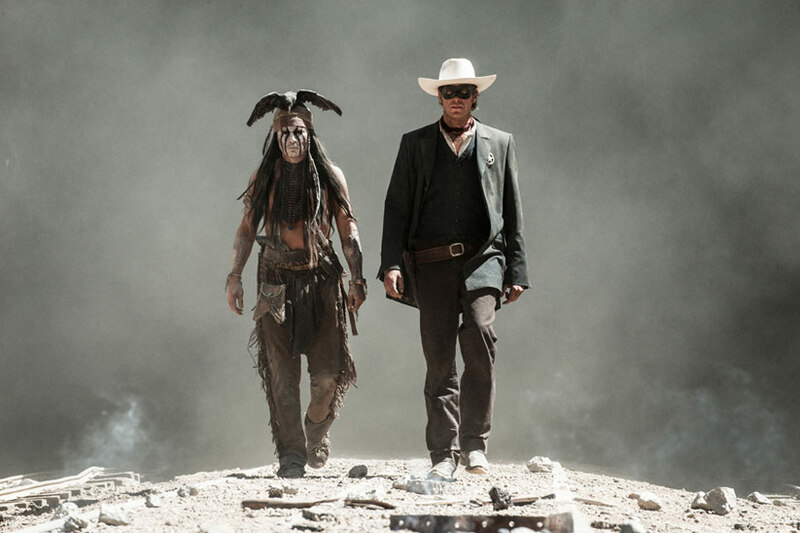 Lone Ranger (July 3) – The only reason this film will be good is because Johnny Depp is playing the role of Tonto. While it may not be the best movie to grace to silver screen, the leading man is reason enough to go watch it. Johnny Depp never fails to entertain. Paranoia (August 16) – Harrison Ford will be glad he has Han Solo to be remembered for, and Gary Oldman will be thankful for Sirius Black. After the first week of July, there really won’t be any good new releases. This one might be the best of them, and that’s not saying much. Don’t waste your money on this late summer flick. Lastly, remember all the memorable (or not-so-memorable) spring flicks that will be playing in your local dollar theater this summer if you want some cheap entertainment.